Keyboardist Joanne Kong captures the attention of audiences in compelling performances that celebrate the vibrancy and eloquence of musical expression. Embracing a broad range of repertoire from Baroque to contemporary music, her performances have been praised for “great finesse and flexibility” (The Washington Post), “superb” playing (The Boston Globe), “utmost keyboard sensitivity and variety of tone” (Richmond Times-Dispatch), “remarkable technical ability” (The Oregonian), and “superb artistry” (San Antonio Express-News) for works “sensitively played” (The New York Times). Her versatility includes the distinction of being the first artist to release a harpsichord-piano recording of the J. S. Bach Goldberg Variations and Beethoven Diabelli Variations, on the BRIOSO label. Kong has performed to critical acclaim at numerous venues including the Los Angeles and Oregon Bach Festivals, Abbey Bach Festival, Texas Bach Collegium, Houston Harpsichord Recital Series, Memphis Chamber Music Society, Stotsenberg Concert Series, San Antonio Festival, Los Angeles Monday Evening Concert Series, Virginia Waterfront International Festival of the Arts, the Royal Netherlands Embassy, National Gallery of Art Concert Series in Washington, D. C., Strathmore Hall’s “Music in the Mansion” series, Columbia University, Harvard University, the Conservatorio Dall’Abaco in Verona, Italy, the Melk Abbey Summer Concert Series, and Baden’s Haus der Kunst in Austria. Recent international performances have included concerts in Colombia, Cuba, India, and a 10-day concert tour of Brazil under the auspices of the Partners of the Americas and the U. S. State Department. Kong has appeared as soloist with orchestra under conductors William McGlaughlin, Myung-Whun Chung, Alberto Bolet, Steven Smith, Samuel Baron, George Manahan, Alexander Kordzaia, Eckart Preu, John Sinclair, Mark Russell Smith, Gil Rose, Alex Pauk, and she has collaborated with numerous artists including the Shanghai String Quartet, Eugenia Zukerman, cellists James Wilson, Jason McComb and Ronald Crutcher, soprano Ying Huang, baritones James Weaver and Zheng Zhou, and 4-time Grammy Award-winning ensemble Eighth Blackbird. In 2007, she gave the World Premiere of Pulitzer Prize – winning composer Michael Colgrass’s Side by Side, the first concerto to be written that features a soloist in a dual role as both pianist and harpsichordist. The work was performed by the Boston Modern Orchestra Project, Toronto’s Esprit Orchestra, and the Richmond Symphony. An acknowledged Bach specialist, Kong’s performances of The Well-Tempered Clavier and Goldberg Variations have received critical acclaim, and she is a regular guest keyboardist of the Winter Park Bach Festival in Florida. 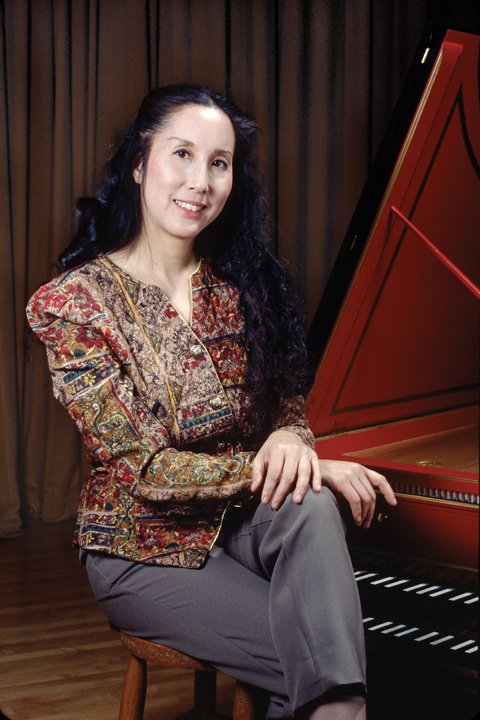 Dr. Kong is the recipient of national and international honors including performance fellowships from the American Academy of the Arts in Europe and the Bach Aria Festival, designation as a Laureate in the 1983 National Beethoven Foundation Fellowship Auditions, three Ruth Lorraine Close Fellowships, and the Irl Allison Grand Prize in the 1985 International Piano Recording Competition for her performance of Beethoven’s Diabelli Variations. She has been a guest coach at New York University, New England Conservatory, the University of Southern California, Brigham Young University and Yale University, and has been recognized for her exceptional work with gifted young musicians. She is currently the director of the accompanying and chamber music programs at the University of Richmond.